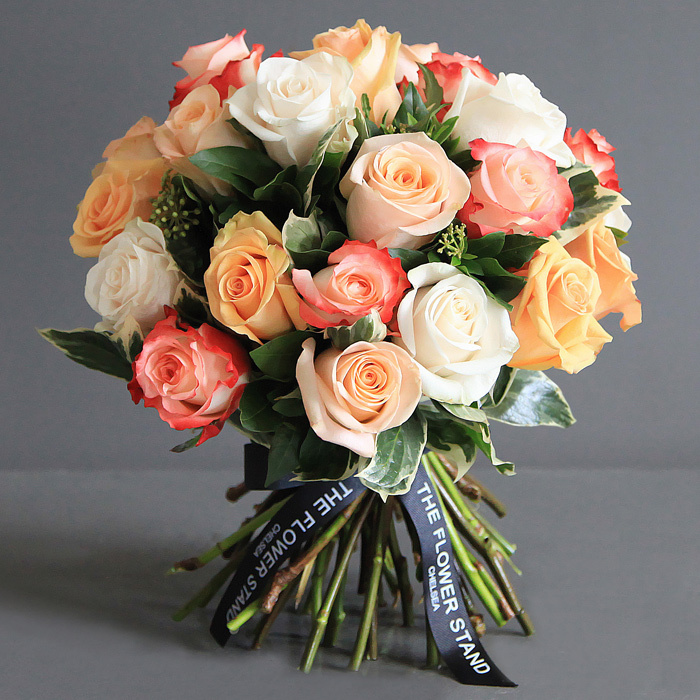 Our master Chelsea florists lovingly craft this luxury bouquet of flowers using stunning large headed Ecuadorian Roses and seasonal foliage. Our florists combine peach, white and pastel pink Roses to create this sophisticated, luxury bouquet. 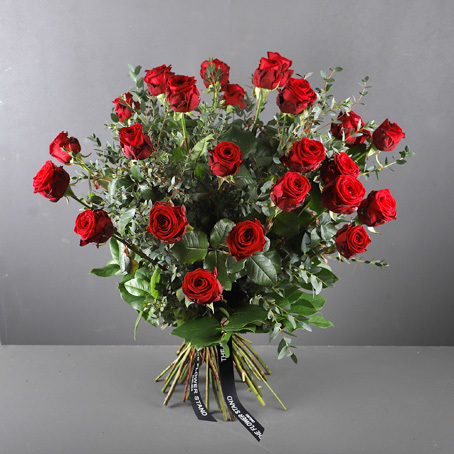 Ecuadorian Roses are widely regarded across the world for their exceedingly high quality. 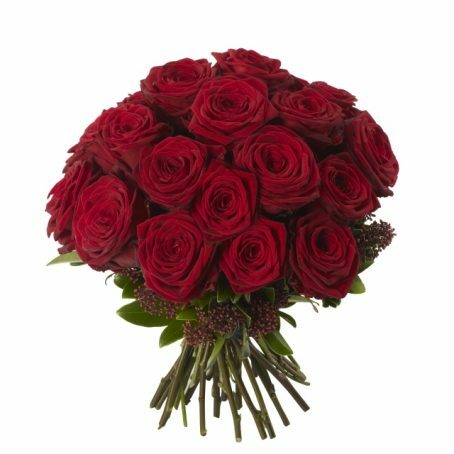 These Roses are grown at high altitude where cool nights and warm days provide the perfect conditions for producing the finest quality luxury roses, with luscious large heads. This luxury bouquet makes the perfect gift for that special someone. 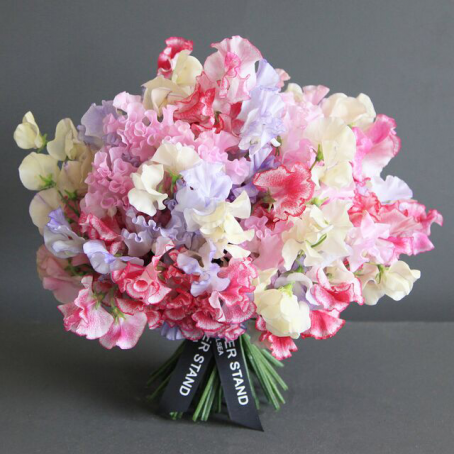 You can rest assured with our incredible flower delivery service that your flowers will arrive on time and in the perfect condition for display on arrival. 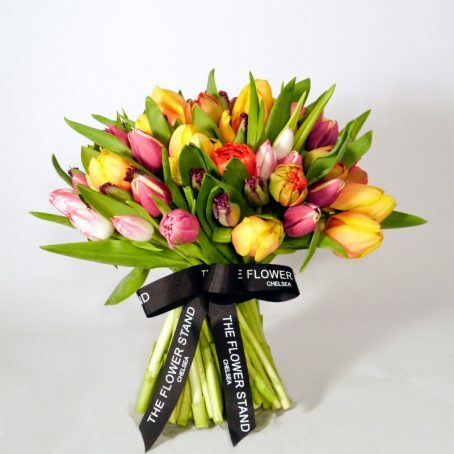 We offer same day flower delivery throughout London on orders received before 7pm.